Can You Use Deep Freeze on a Flash Drive? Solid-state drives have begun to displace storage devices with moving platters. 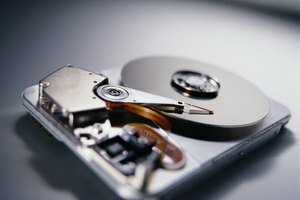 Along with the hard-drive partitions you use every day, your computer may be keeping secrets in the form of hidden partitions. The company that built your computer may have included these invisible extras to provide software backups or system-restoration resources, or you may have created them yourself to store personally identifiable information, trade secrets or work you create under a nondisclosure agreement. Depending on how they're created and what they contain, these partitions may provide essential storage for invaluable files. Whether you encrypt the files on all or part of your hard drive, you can hide an encrypted partition as well as password-protect it. Some encryption utilities, such as the open-source program TrueCrypt -- widely regarded as the premier program of its type -- even enable you to create a hidden, encrypted partition that includes another hidden, encrypted partition. Because the inner volume exists within the outer volume's free space and the encryption process fills that space with random data, the interior partition can remain undetected even if you make the outer volume visible. Unlike hidden files, which remain on fully visible partitions and can be made visible temporarily through OS commands, hidden encrypted partitions theoretically remain invisible unless and until you decrypt them, although some tools and methods may reveal their presence. Don't forget your password; it's unretrievable. Just as encryption can hide partitions, utilities can sniff out the presence of hidden storage. These utilities, such as TCHunt, may be unable to decrypt the hidden volumes, but they can locate inaccessible file areas that point to the presence of encrypted and invisible volumes. These utilities can produce false positives, which may create the impression of a secret data stash where none exists. If you choose to create hidden partitions to keep confidential material secret, consider carefully how you use them and how much you rely on them to remain invisible. Both Windows and OS X can include recovery partitions designed to reinstall your operating system. On some PCs, you can press a function key when you start the computer and select a setup option that restores Windows to an existing partition on your hard drive or reformats the drive first. If you install Windows yourself on a blank new hard drive, you can create your own recovery partition. You also can create a recovery volume on a removable USB thumb drive, using the capabilities Windows provides in the Control Panel's Recovery tool. To start up a Mac from the OS X Recovery System on its hard drive, press "Command-R" as you boot your computer. 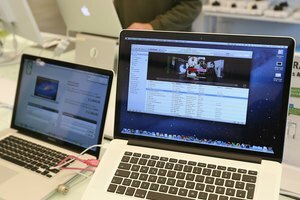 OS X's Recovery Disk Assistant enables you to create a bootable Recovery setup on an external drive with at least 1GB of available space. 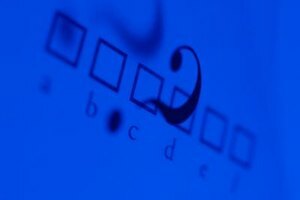 If you purchase a new computer that ships with one or more hidden partitions to provide OS restoration, read the documentation that accompanies your system so you understand how your recovery process works before you need to use it. 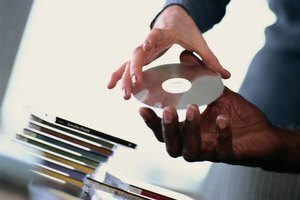 When you buy a used system or acquire a hand-me-down computer from a friend or relative, your smartest course of action may lie in reformatting the drive to erase and repartition it, thereby eliminating hidden volumes and avoiding any liabilities associated with someone else's files. KeithMayer.com: Windows 8.1 -- Unable to "Copy Recovery Partition" When Building Recovery Drive? Mott, Elizabeth. "Hidden Volumes on Your Hard Drive." Synonym, https://classroom.synonym.com/hidden-volumes-hard-drive-14304.html. Accessed 21 April 2019.